Play starts with a dribble to the side. 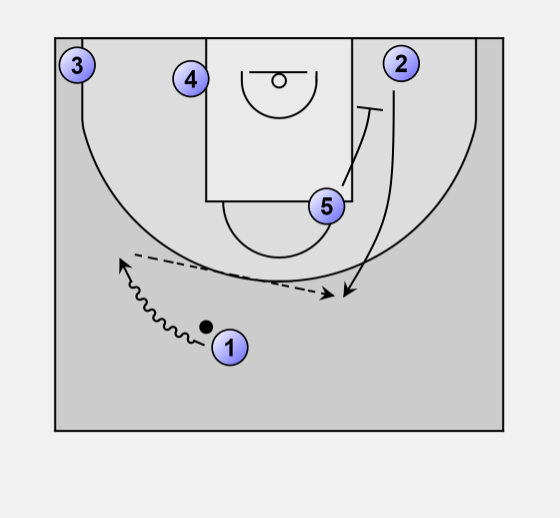 5 sets a down screen for 2 who will receive the ball from 1. Baseline screen from 5 for 4. Pass from 2 to 4. Pass from 4 to 5 posting up. 1, 2 and 3 rotate, keeping the defense on their feet. 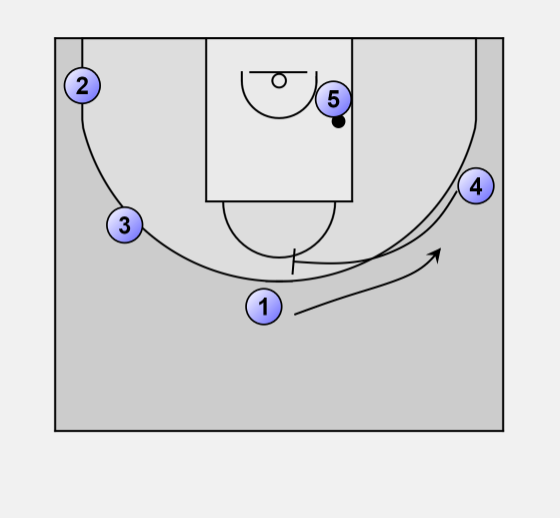 4 sets a screen for 1. 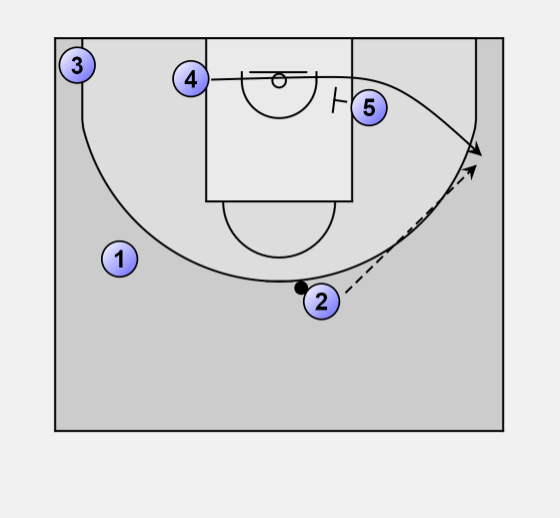 If 5 gets lost in his post moves he can pass to 1 for a 3-pointer, or a reset of play.